Today, we celebrate the feast day of Santo Niño de Pandacan in our community. This is being celebrated every third Sunday of January. Fortunately, I got no duty for today so I was able to accompany my parents and return home in the haven of Santo Niño and celebrate the feast for today. 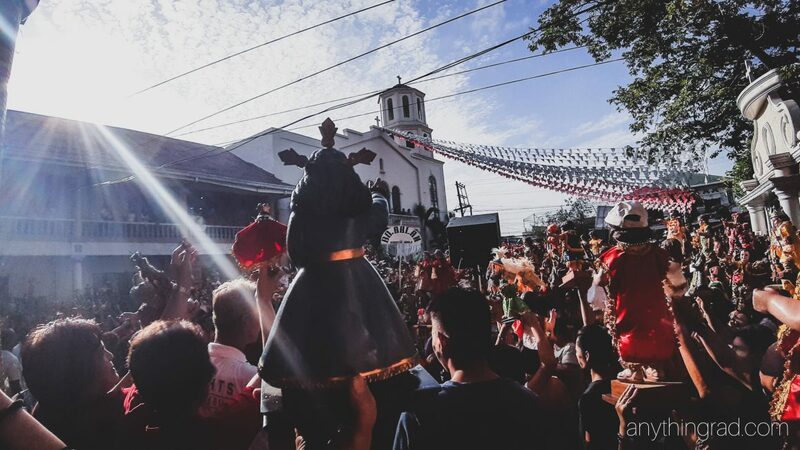 It has been believed that the image of the Santo Niño de Pandacan was carved out of dark wood similar to the image of the Black Nazarene of Quiapo. 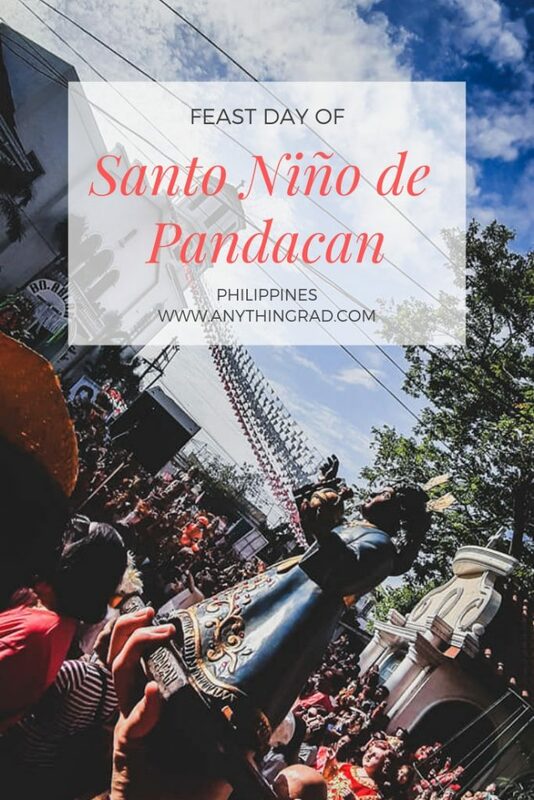 This was also said to be hidden for more than 300 years until the time the image was found in a vast field of plantation of pandan, the place now called Pandacan or Pandanan. . Today, the Santo Niño de Pandacan Parish is enshrined to the same place where the Holy Child was discovered. You can read more about the rich history of how and why the parish was constructed in this well-written entry by Sir James Malabanan in his blog Pintakasi. The Holy Child is known to be the protector of Pandacan because of the miracles it had shown to the community. One well-known miracle was the miracle during a fire in the 1900s; the sudden wind change modified the direction of the fire which prevented the Pandacan parish to be burnt to ashes. Others include the healing of devotees who prayed for healing miracles as well as the time a great mishap of explosion was prevented when the US troops retreated during revolution — all these were prevented with the miracles of Santo Niño. We brought our wooden image of Santo Niño de Pandacan and had it blessed. We also attended the Mass and found this perfect time to pray. I find it relaxing to finally be in touch with the spiritual sense! It makes me feel good inside. I also took this time to reflect before I venture to the next chapter of my life. 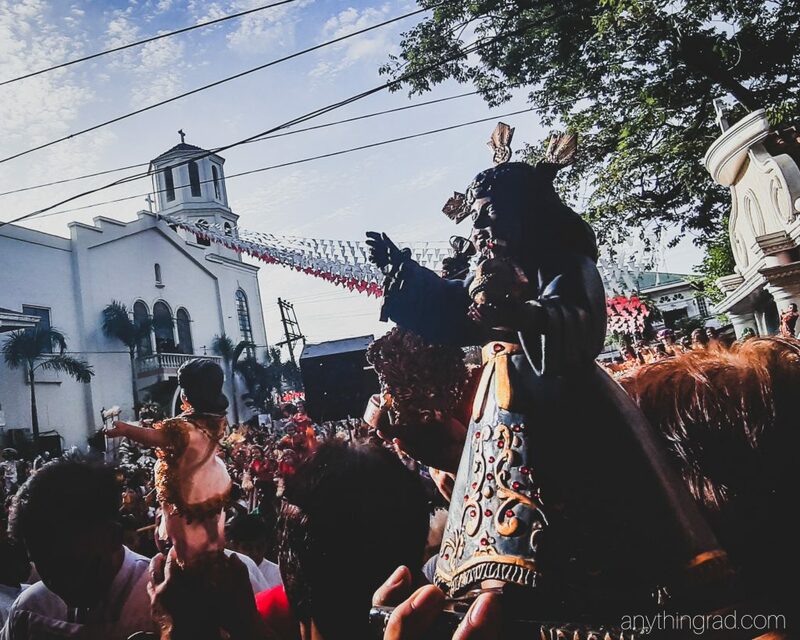 Here’s a glimpse of what had transpired after the Holy Mass celebrated during the Feast Day of Santo Niño de Pandacan. There is this inner joy that I’ve felt by joining the crowd and being festive of the occasion. Such a wonderful feeling! Definitely, a gift from the Holy Spirit. In this life, we have to face challenges we’ll never know we could surpass until we just do. And as far as my life is concerned, I am in that transition phase. Maybe you are also in that phase where you just do things in a hurry with a worry. That tunnel could be long and winding. It could be dark, or it could be rough. But if I have to share one thing to you today, it is to commit a time for spiritual communion. Praying and conversing with your spiritual guides help in getting rid of those worries. It makes us calm and collected, and I believe that is important for us to set a good pace of the energy around us. 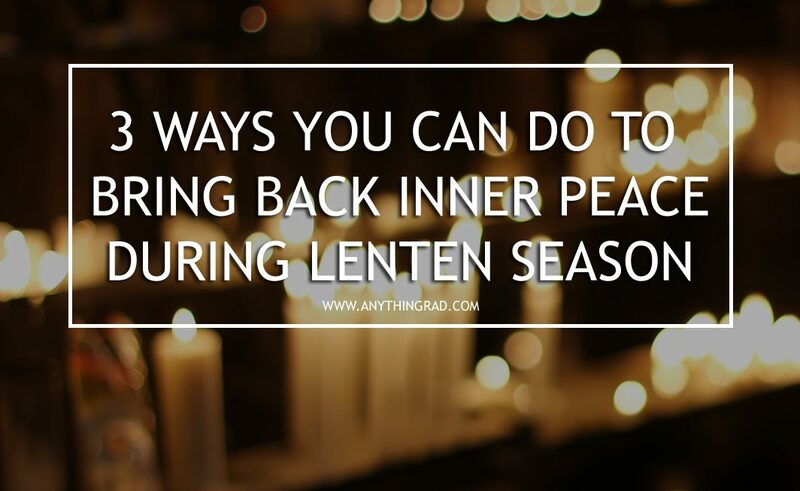 So, I hope you find the time to pray or be in communion with the Spirit. Let’s nurture that part that is being neglected at times. I hope you have a wonderful weekend of reflection and positivity! Have things to share? Drop your comments below; I’d love to hear from you!